During one of our shopping trips, we found this 8-pane window. The glass is fully intact and in great condition. The wood frame is a bit scratched, but that just adds to its charm! This piece definitely has the potential to transform into a stylish piece of decor. Before we make it over, we'd love for you to weigh in. Vote for your favorite project idea, and when we have a winner, we'll get going on the most popular pick. Then in a few weeks, we'll be back with the big reveal. See you then, and don't forget to vote! 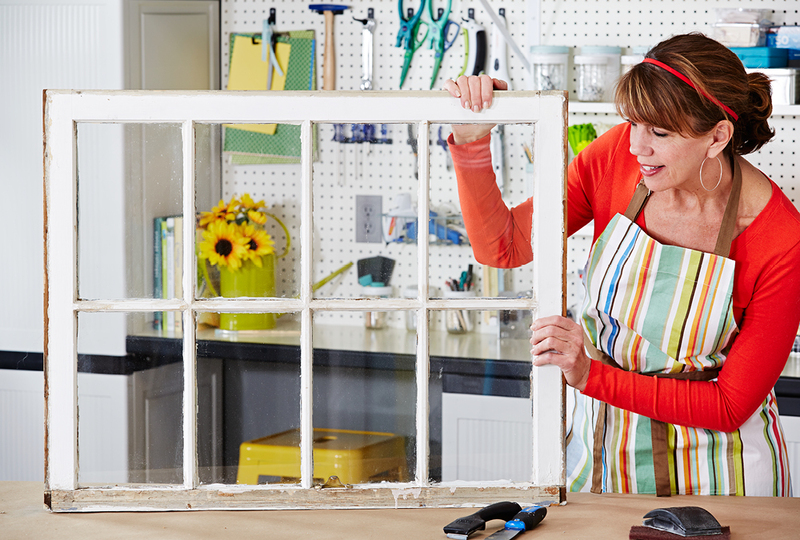 Which window frame project do you want to see completed?